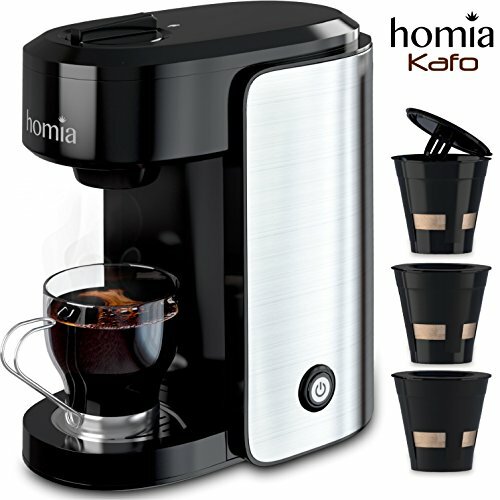 With the New House Kitchen Coffee grinder, you can get better tasting coffee, with at home convenience. 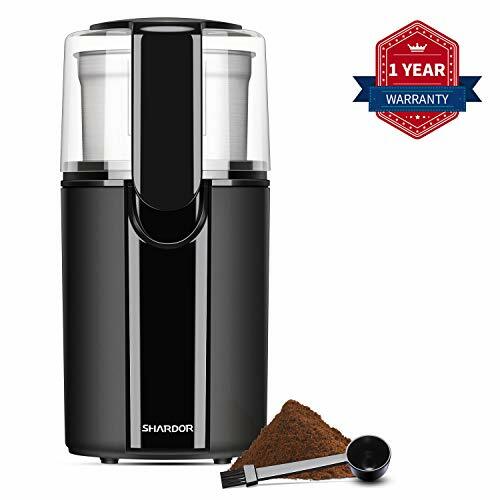 Making coffeehouse-style ground Coffee beans has never been easier thanks to its powerful 250-watt motor, precise grinding settings and one-touch operation. Grind up to 2. 5 oz. 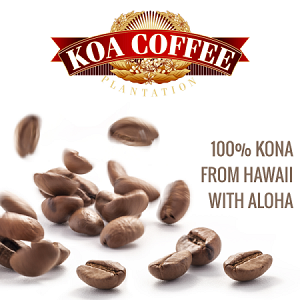 of Coffee beans (typical bag amount) at once and be in total control of the fineness or coarseness of the grind. 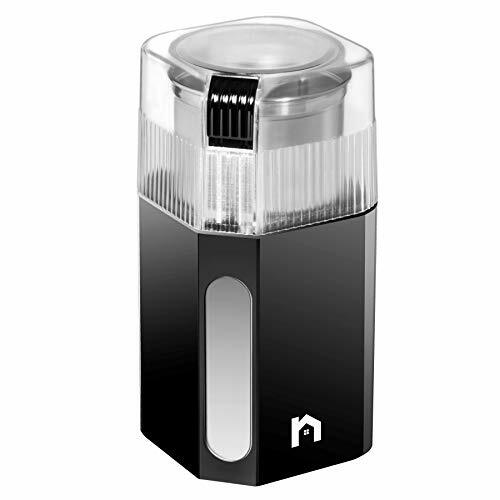 The grinder’s compact size takes up very little space on countertops- or in dorm rooms- and is great for storage. 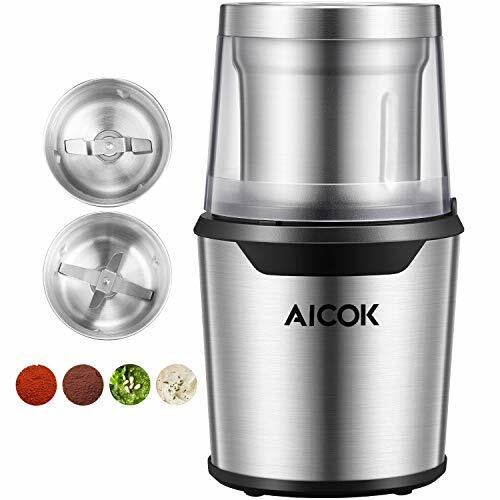 Once you’re done, The grinding cup and stainless-steel blades are dishwasher safe, so you can enjoy your cup of joe without worrying about clean-up. Grind, brew and enjoy! ONE TOUCH: The first step to an amazing cup of coffee starts with how it’s ground. 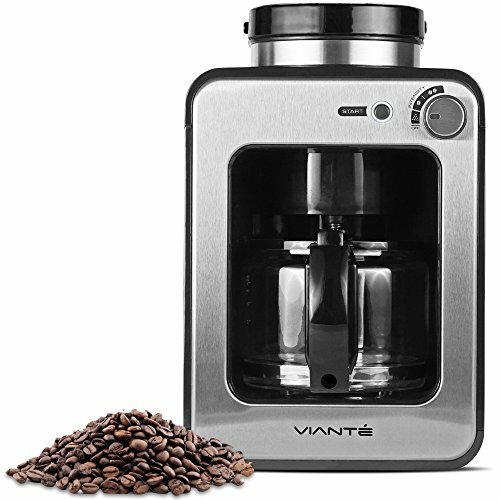 With just one touch, you can instantly grind fresh coffee beans and foods like nuts and seeds thanks to the powerful 250-watt motor. 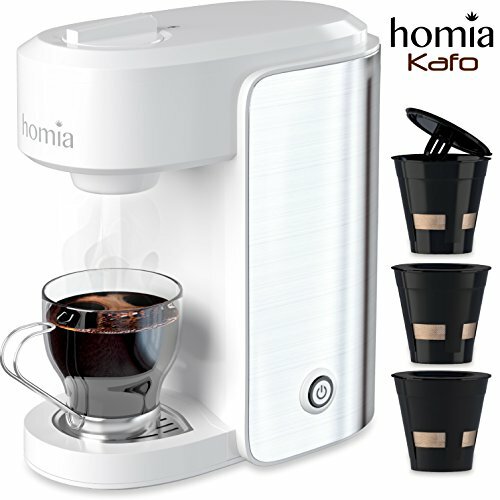 FRESHNESS: This appliance can hold up to 2.5 oz of coffee beans, and it’s fully customizable- adjust the fineness and coarseness by holding the grinding button down for 1-3 seconds at a time. EASY USE: The grinder’s compact size and convenient cord storage make for easy storing, although we doubt you’ll ever want to put it away. 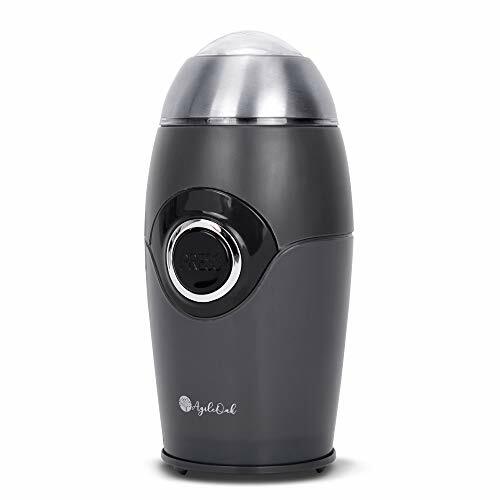 QUICK CLEAN-UP: There’s no complicated clean-up or tricky disassembling required with this coffee grinder. 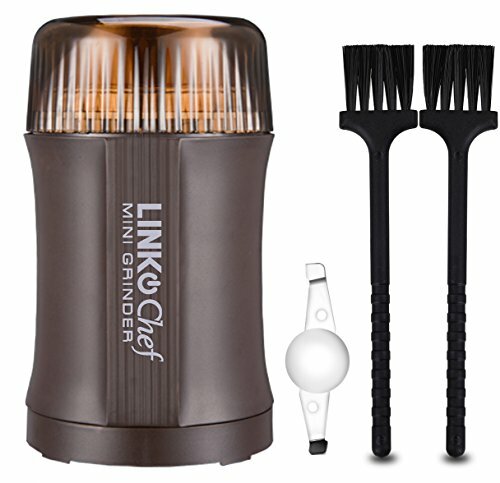 The grinding cup and stainless-steel blades are removable and top-rack dishwasher safe for easy, quick cleaning. WARRANTY: For your convenience, a 1-year Hassle-Free warranty is provided by New House Kitchen.